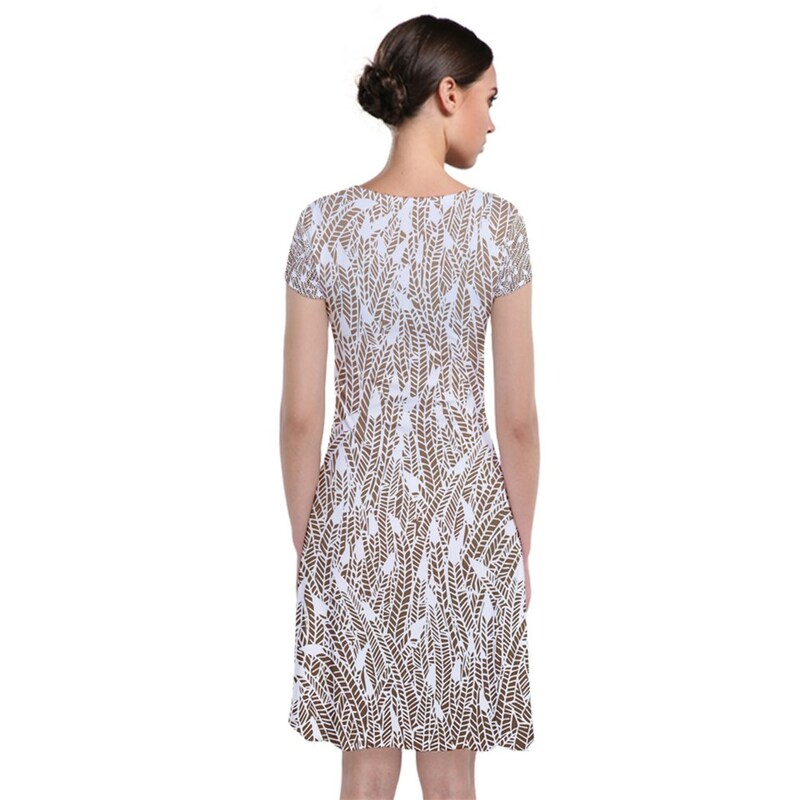 Beautiful wrap dress with a light brown to dark brown ombre effect and whimsical white feather pattern. Comfortable to wear and hugs your curves in all the right ways. The wrap style of this dress keeps elegance, prettiness and cheekiness all in balance. With a waistband at the front to create a flattering design, you will be reaching for this Brown ombre feather pattern wrap dress to wear in any occasion that pops up.